MLA (1954-1957), MLA (1958-1959), MLA (1959-1962), MLA (1963-1966), MLA (1966-1969). Born at Winnipeg on 3 September 1907, son of William Sanford Evans and Irene Gurney, he was educated at Ridley College and the University of Manitoba. He served with the Royal Winnipeg Rifles in the Second World War, receiving the Order of the British Empire and retiring as Lieutenant-Colonel. 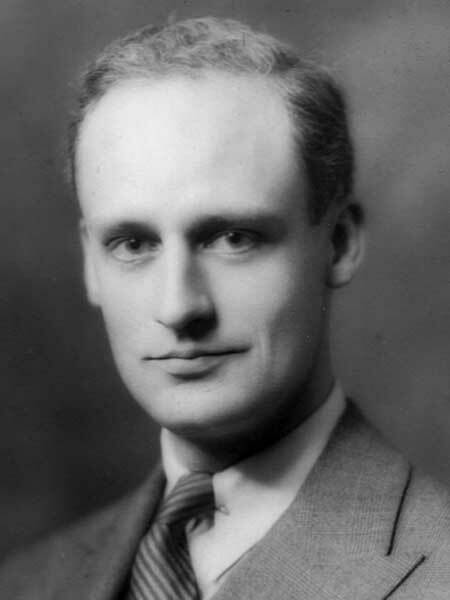 He was Executive Director of the Carswell-Shaw Commission which calculated flood damages to Manitoba in 1950, and was Executive Director of the Red River Valley Board after the 1950 flood. He also served as Chairman of the Civil Service Commission of Manitoba and President of the Canadian Club of Winnipeg (1954-1955). He represented Fort Rouge in the Manitoba Legislature as a Progressive-Conservative, being elected at general elections in 1953, 1958, 1959, 1962, and 1966, serving as Minister of Industry and Commerce (1958 to 1966), Minister of Mines and Natural Resources (1958 to 1959, 1966 to 1967), Provincial Secretary (1959 to 1963) and Finance Minister (1966 to 1969). His political career ended when he was defeated by New Democratic candidate Cy Gonick in the 1969 general election. He and wife Lilian Jean Minnis (1918-2001) adopted two children: Jane Evans and Douglas William Evans (1950-2012). He died at Winnipeg on 8 January 1987. There are papers at the Archives of Manitoba. Obituary [Douglas William Evans], Winnipeg Free Press, 30 August 2012. We thank Susan Bracken, Nathan Kramer, and Katherine Maki for providing additional information used here.